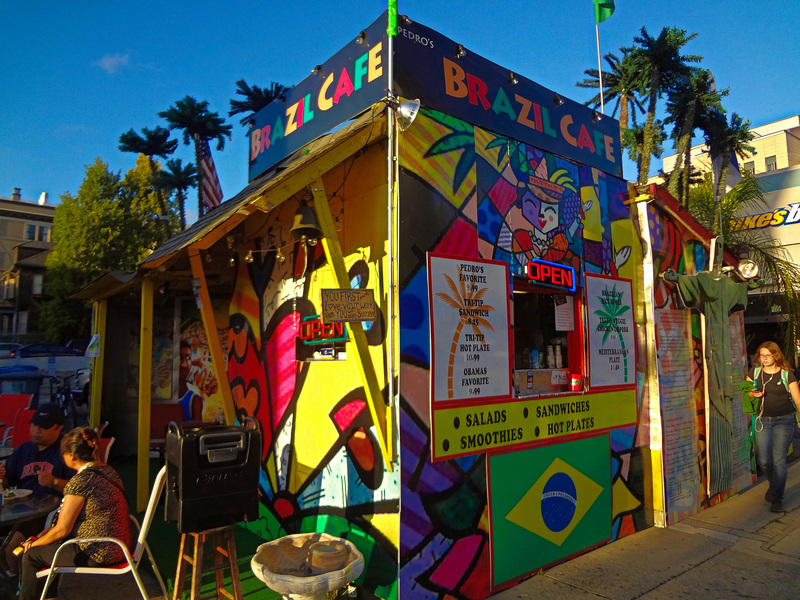 This Berkeley staple is nothing more than a semi-permanent shack in a parking lot. But there’s some magic happening in that shack. Brazil Fresh Squeeze Cafe serves mouth-watering, mood-altering, mind-bending tri-tip steak. They also serve other items, but let’s get back to the steak! The tri-tip is served inside what may be Berkeley’s most famous sandwich, referred to simply as Pedro’s Favorite. For $9.99, this delicious mess comes fully-loaded with grilled onion, pineapple, jalapeno, olives, cheese, lettuce, tomato, and cilantro-garlic sauce. Ask for extra napkins and eat at one of their patio tables, or take it to-go. Fight back the meat-sweats with a mango smoothie ($3.99), Brazilian guaraná soda (think ginger ale with a hint of apple, $2), or refill your personal canteen with palatable Berkeley tap water, offered gratis from a cooler out front. Any way they slice it, Brazil Cafe’s tri-tip is a quintessential Berkeley experience.